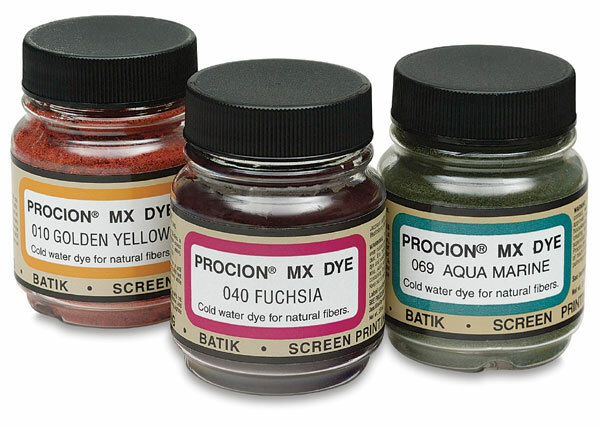 Procion dyes are permanent, colorfast, and very washable. You can easily create a palette of brilliant colors ranging from light pastels to deep, vibrant hues. 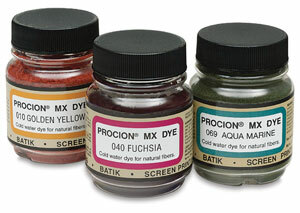 Perfect for natural plant fibers - cotton, linen, paper, reeds, and wood. ® Jacquard is a registered trademark.® Procion is a registered trademark. ® MX is a registered trademark.